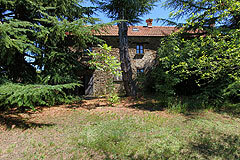 Country house for sale with swimming pool Langhe Close to Alba, Cortemilia and Aqcui Terme (ref: SOLD)- SOLD -Delightful restored country home with swimming pool enjoying the most panoramic views over the Langhe countryside.. Piedmont Properties in Piemonte. Property for sale Langhe and Piemonte. Map for Property ref: SOLD, Country house for sale with swimming pool - SOLD -Delightful restored country home with swimming pool enjoying the most panoramic views over the Langhe countryside.